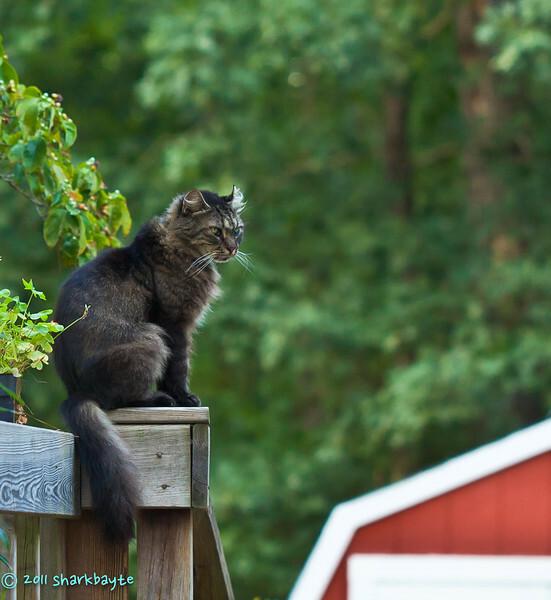 August 29, 2011-Willie was sitting in his favorite spot, from here he can stare into the window at his owner. (241:365) Posting very late today, wanted to thank you for all the comments on my shot yesterday. I love the backlighting around his ears. Great shot! Oh, I like this. That is true cat character in action...the beast in on the prowl. That's the really scary cat you posted a month or so ago, right? He still looks scary. Nice photo though.
" Isn't he lovely?" This is perfection! He looks on guard! Nice shot! I like Willie!!!!!!!!!!!!!!!!!! Great shot!